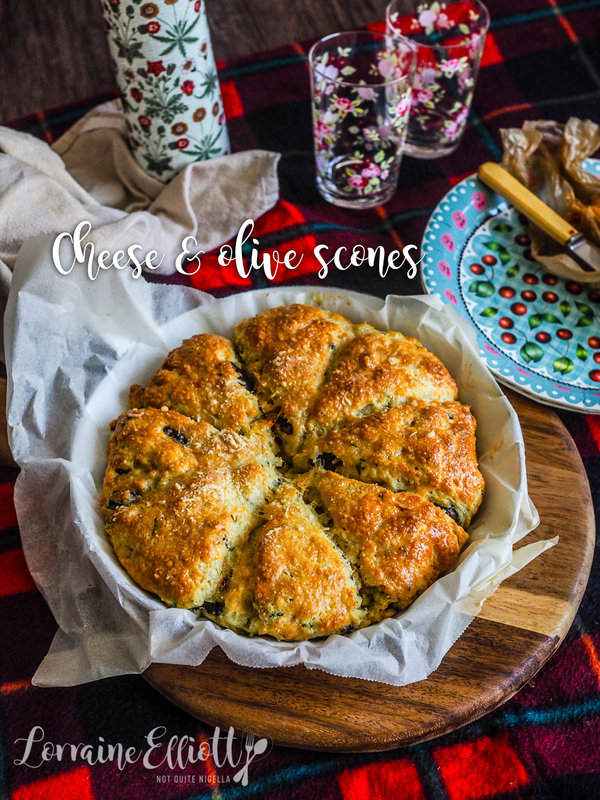 Grate Picnic Food: Cheesy Olive & Herb Scones! 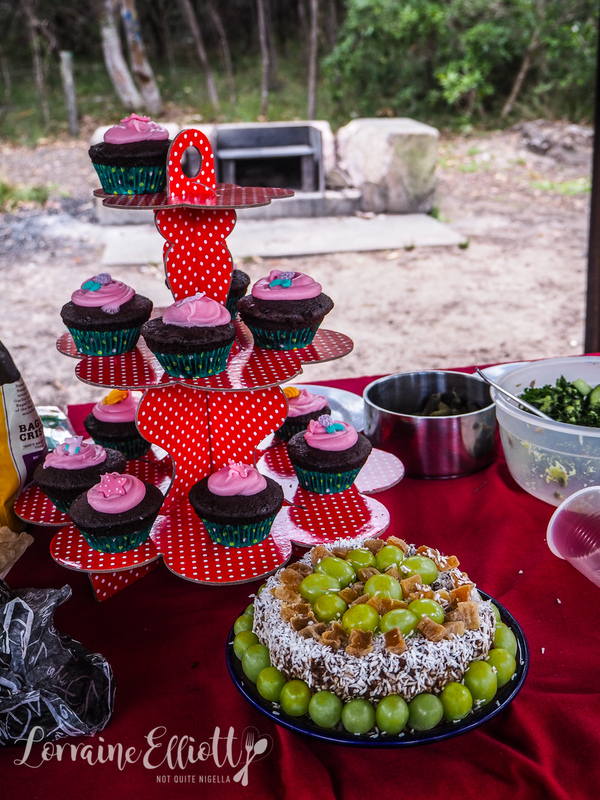 Want to make the most of picnic weather and make something to share? 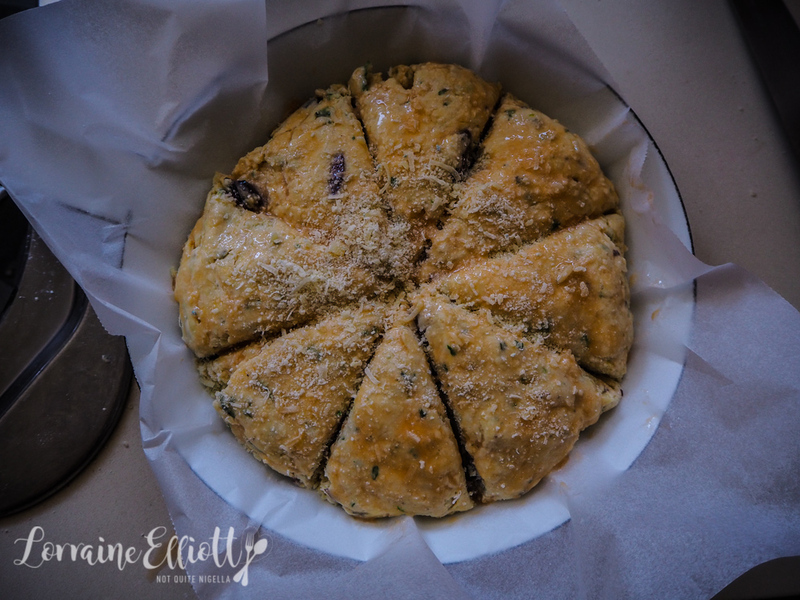 Try these savoury scones made with cheese, olives, herbs and garlic. 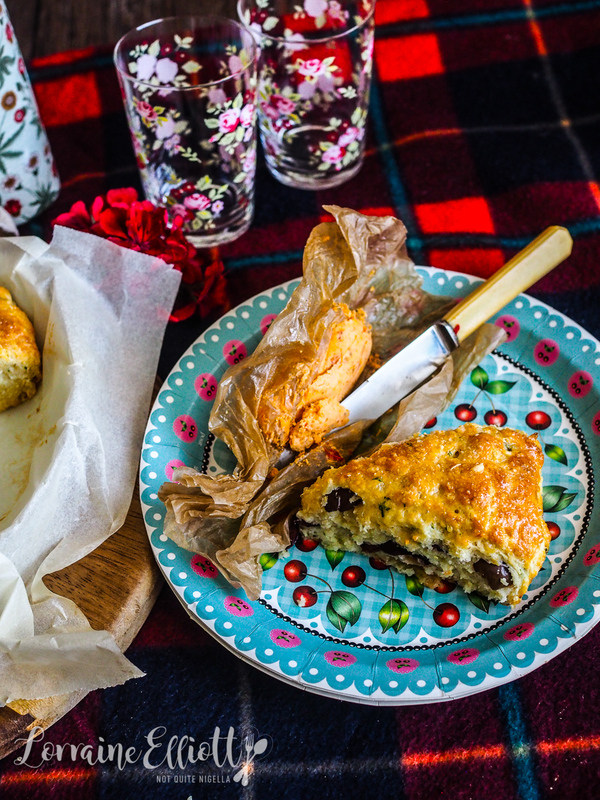 These will disappear fast so make sure you nab a slice before everyone else does! 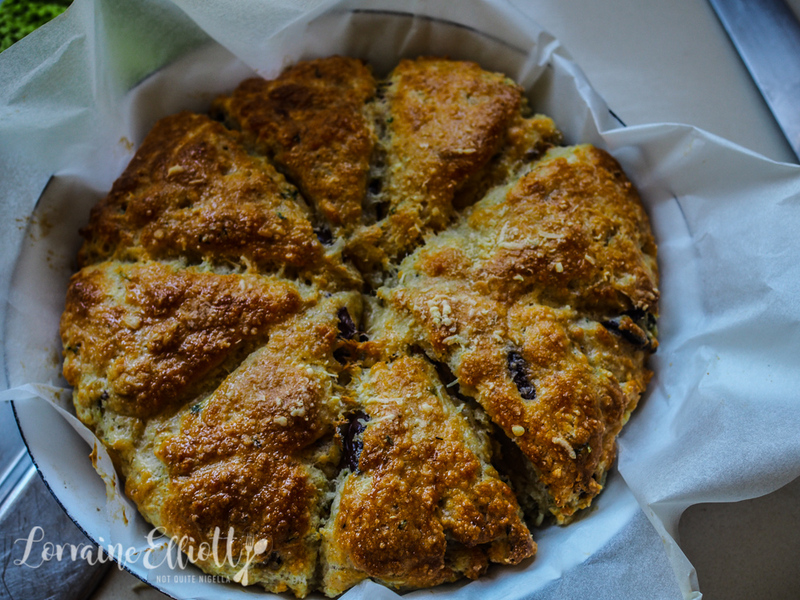 I served these scones with a batch of the roasted tomato butter I made but you could serve these plain or with butter. If they're warm they're really lovely but these were cold by the time we got to the family picnic and they were still a hit. And that's not even counting the fact that the Elliotts don't even eat a lot of regular food. 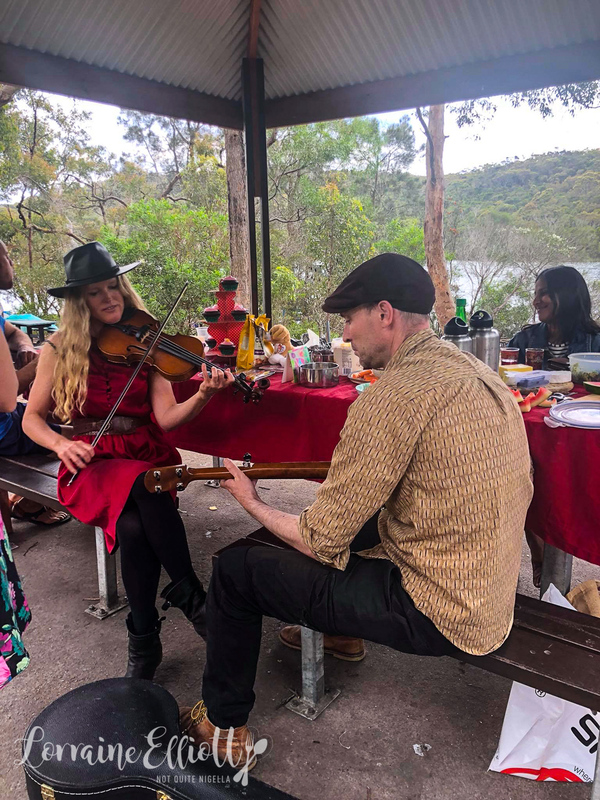 The occasion was Mr NQN's niece Aura's 7th birthday and they were holding the party at Manly Dam. We arrive at 12:15pm worried that we'd be late for the noon start time. And then we forgot how late everyone always is and most of them arrived just before 1pm (others arrived at 3pm!). The food at an Elliott gathering tends to be vegan and gluten free. 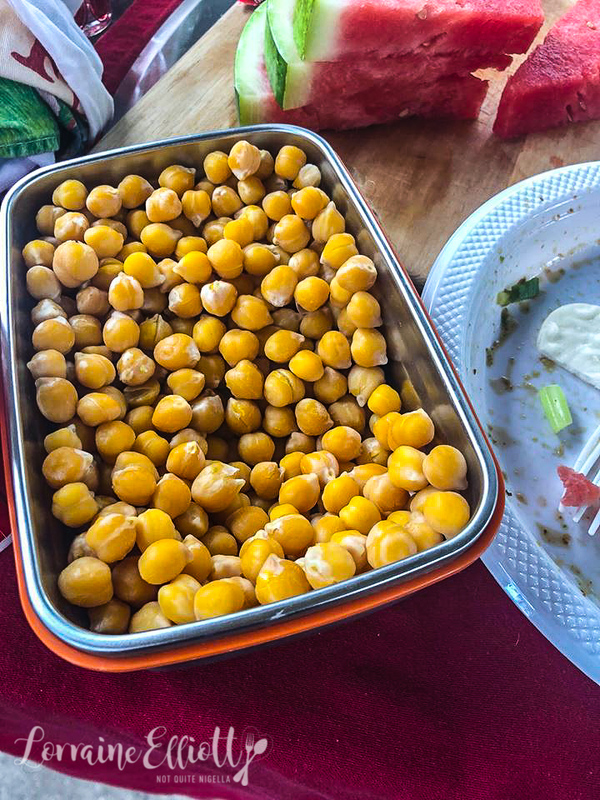 Mr NQN's brother Manu brought some boiled chickpeas because he is the most extreme vegan and he is also having health issues (a possible auto immune disease). There was quinoa and brown rice sushi filled with ajvar and tempeh as well as rice crackers, salads as well as more hummus than is probably legal at one gathering. 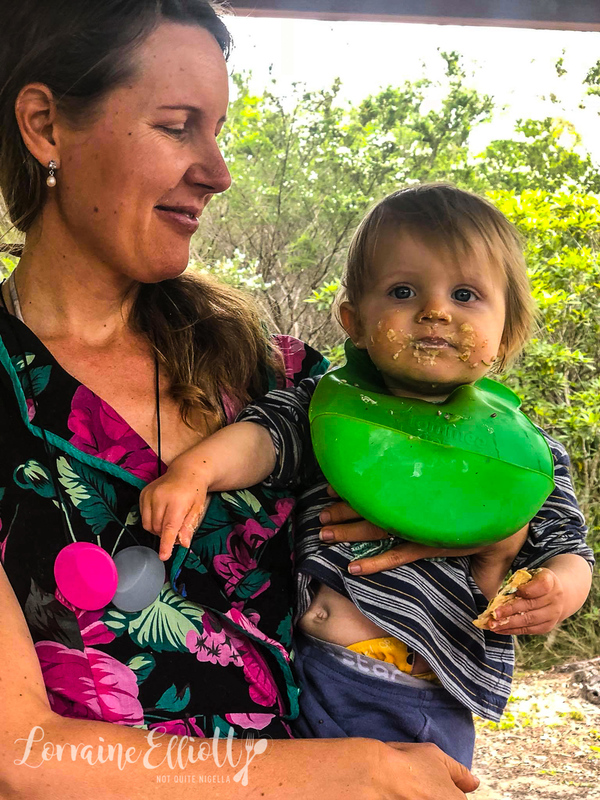 We watched the babies act like drunk adults (seriously, have you seen a baby eat? LOL) and before we knew it, we had to leave because we were meeting up with friends in the later afternoon. Because they were waiting on some stragglers they didn't cut the cake before we left but we did do the pinata. I had almost forgotten how fun pinatas are. 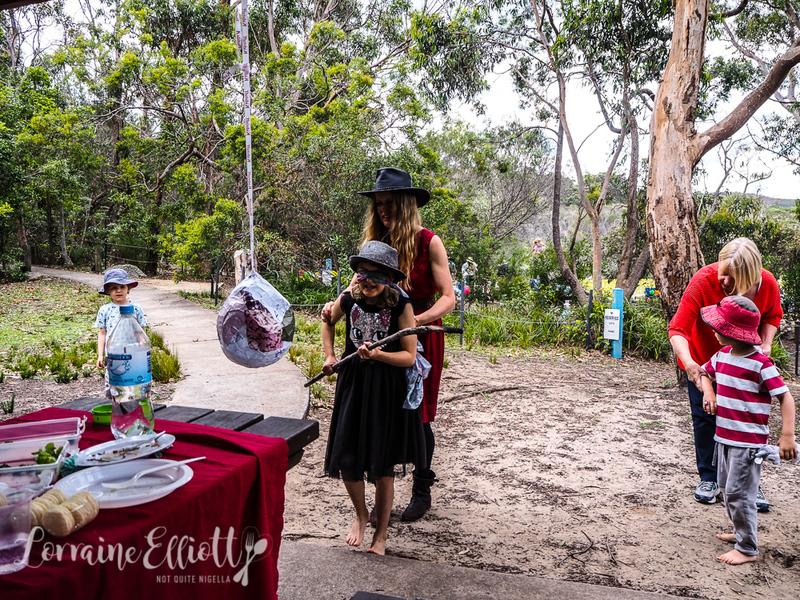 They blindfolded and spun around the kids who weren't quite able to dislodge the lollies before Araluen's boyfriend Harry tried it. He gave the pinata a giant whack causing the whole thing to skitter sideways towards us scattering lollies everywhere. The baby cried at the unexpected projectiles (or perhaps my loud scream as I saw the pinata hurtling in my direction). 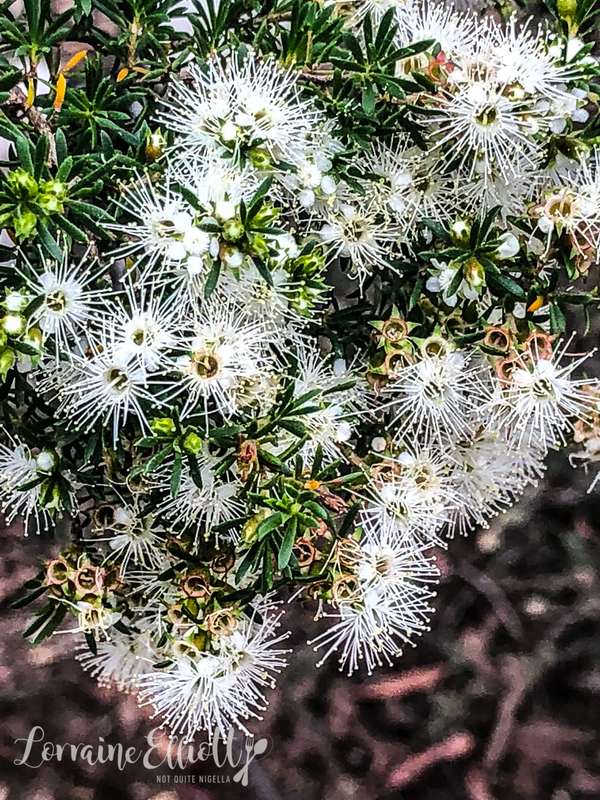 We gathered the lollies to make sure the wildlife wouldn't find any and kids made bargains to eat the lollies. And I'm sure all the hummus got eaten. It was after all an Elliott family gathering ;) . So tell me Dear Reader, what sort of food is served at your family gatherings? When is the last time you hit a pinata? Step 1 - Preheat oven to 200C/400F and line a round baking tin with parchment. 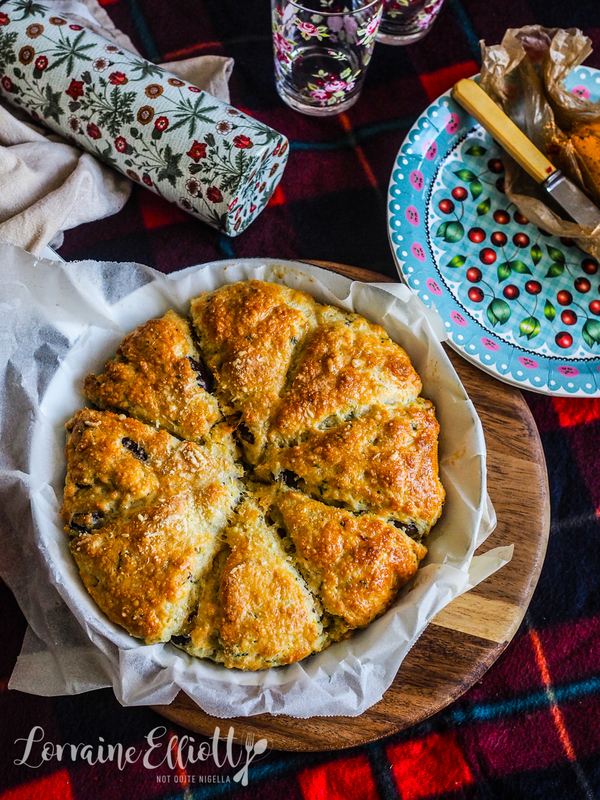 Place flour, baking powder, salt and garlic in a food processor and whizz to combine. Add the butter and pulse until you get fine breadcrumbs. 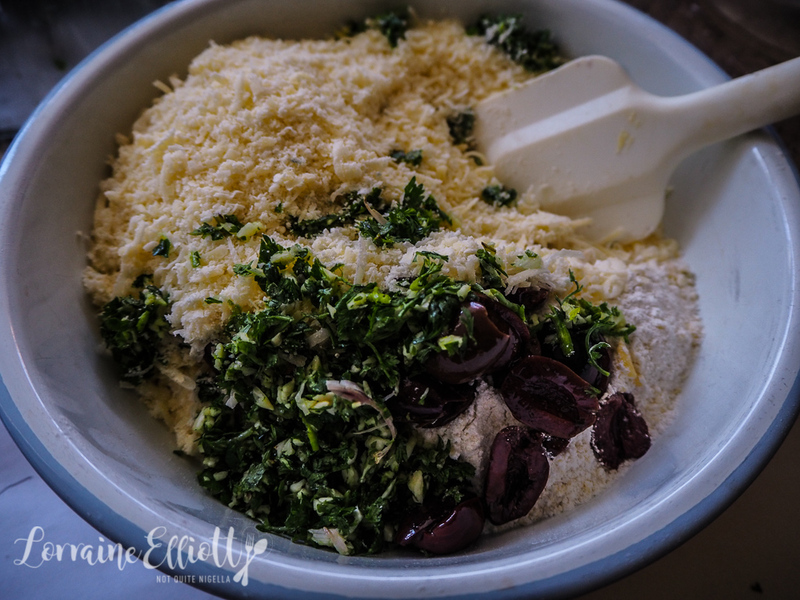 Step 2 - Empty into a bowl and add the cheese, soda water, herbs and olives and mix to form a dough. Form into a round and brush with egg wash and then sprinkle with the 3 tablespoons of parmesan and cut into triangles. Bake for 20-25 minutes. Serve warm with tomato butter or butter. featureHave a (Cheese) Ball On New Years Eve!